Goodreads: Annie Adams is days away from her thirty-second birthday and thinks she has finally found some happiness. She visits the world's most interesting places for her syndicated travel column and she's happily cohabiting with her movie director boyfriend Nick in Los Angeles. But when Nick comes home from a meeting with his therapist (aka "futures counselor") and announces that he's taking a break from their relationship so he can pursue a woman from his past, the place Annie had come to call home is shattered. Reeling, Annie stumbles into her neighborhood bar and finds Griffin-a grounded, charming chef who seems to be everything Annie didn't know she was looking for. Within three months, Griffin is Annie's husband and Annie finds herself trying to restart her life in rural Massachusetts. 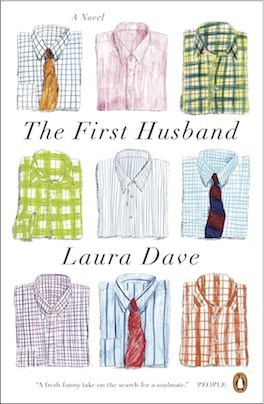 Kritters Thoughts: The First Husband by Laura Dave centers around Annie Adams as her relationship is falling apart and she is trying to decide what is next for her life. In walks another man and after a quick courtship she follows him to Massachusetts to start a new life, but is she just running and running or headed in a good direction for her life. I have read a few books by Laura Dave and have absolutely adored every one of them and when I saw that a new one was coming out I was excited to try to finish the backlist, I still have a few more to go, but one less on the to do list. I have to say that this wasn't my favorite one of hers, I just couldn't enjoy Annie's journey because I didn't really enjoy her. I am basically the same age as her and I know I am in a different space in life, but she just kept acting in an immature way that I couldn't get on her page. The concept of the book worked for me and the plot was good, it was the characters that didn't sell m on this one. If you are a reader that can handle a little bit of wishy washy then you may enjoy this one more than me. I won't ruin an ending for a book, but I will say that it was satisfying. I liked where she ended up and felt it was where she was meant to be all along. So not a complete bust of a book, but not one that I would rave about.